Be it Microsoft Office 365, Office 2016 or Office 2013, uninstalling an version of Office from Windows PC has always been easy. You just need to open Programs and Features window in Control Panel, right-click on Office entry and then click Uninstall option to begin uninstalling Microsoft Office suite from your PC. At times, you might get an error while uninstalling a version of Microsoft Office. Errors such as “Microsoft Office uninstall did not complete successfully” and “Couldn’t uninstall Office” are common error messages while trying to remove Office from Windows PC. 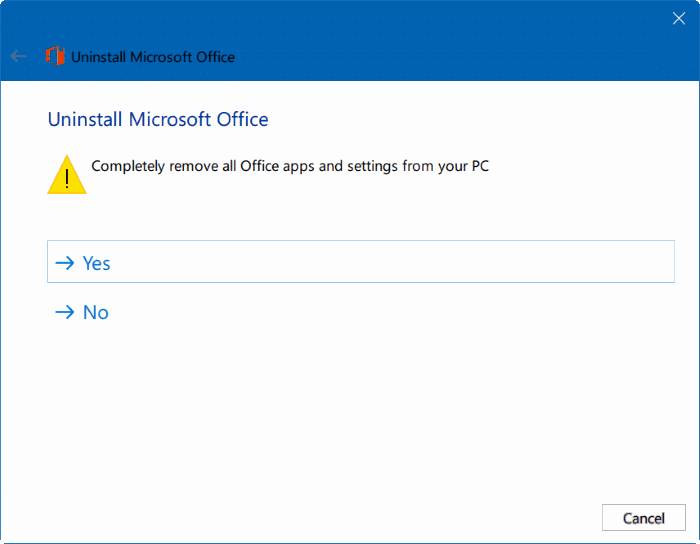 When you are getting an error while attempting to uninstall Office, you can use third-party uninstallers like CCleaner and Geek Uninstaller but there is an official utility available to completely remove Microsoft Office products from your Windows PC. 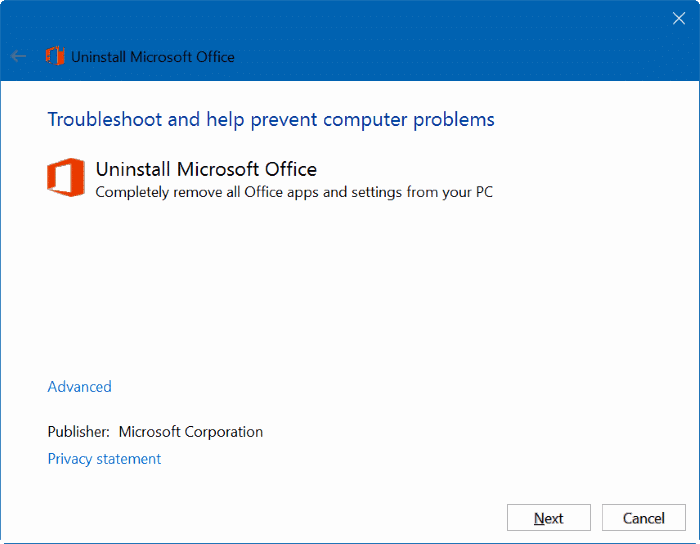 Uninstall Microsoft Office is a free troubleshooting tool from Microsoft designed to help you completely remove Office applications as well as settings from your PC. This Uninstall Microsoft Office tool can be used to uninstall Microsoft Office 365, Office 2016 and Office 2013 products on your PC. 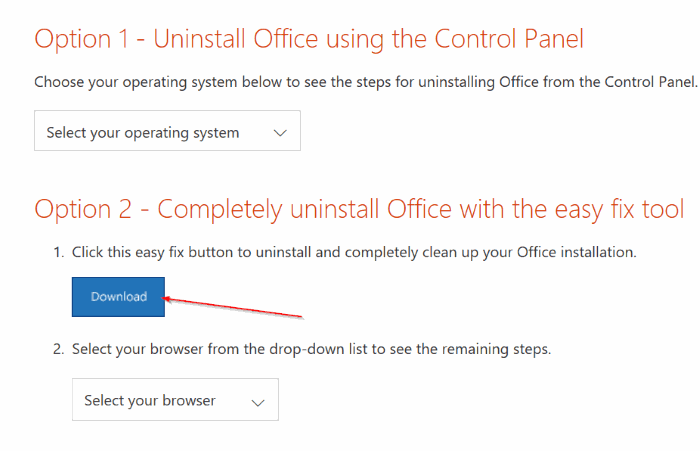 Here is how to use Uninstall Microsoft Office utility to remove Office from your PC. Step 1: Head over to this page of Office support. 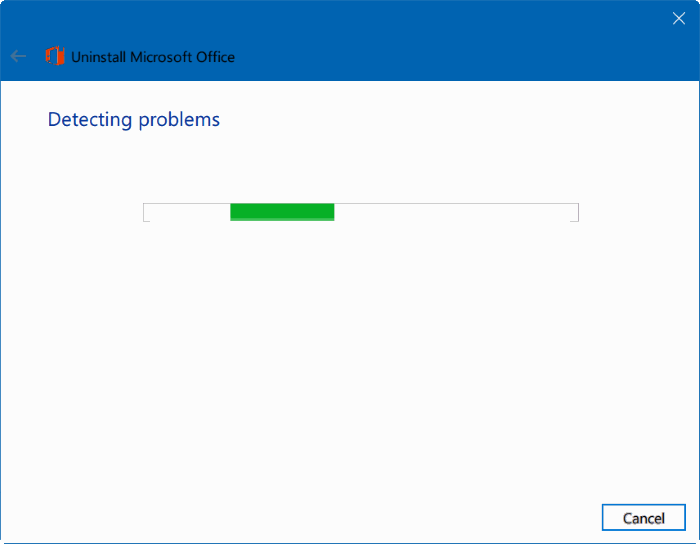 Under, Option 2-Completely uninstall Office with the easy fix tool section, click the Download button to download Uninstall Microsoft Office tool. Step 2: Run the utility. Click Next button to let the tool search for installed version of Office. Step 3: When you see the following screen with “Completely remove all Office apps and settings from your PC”, click Yes button to begin uninstalling Office product from your PC. Easy fix tool does not remove Office preinstalled on new computers, it only removes it from the user. When a new user is added to the computer all of the office app icons are recreated for this new user. Their method used now of preinstalling the app on a business computer that many different users use is a huge pain. It is no longer shown in the control panel to remove it there. Yeah, but does it work with the bloatware most PC’s come with. I just bought a dozen Dell OptiPlex PC’s and they have Access, Word, Excel, etc (2016 I believe) and uninstalling must be done per user. Meaning, you can uninstall it and then logout and login as a different user and the darn things are back.